Peterborough Lions Club will shortly be hosting the annual District Convention for Lions Clubs from East Anglia. The event will see around 300 Lions Club members and their partners from Cambridgeshire, Essex, Norfolk and Suffolk gather at the Holiday Inn Peterborough West from 12-15 March. The event will include social functions such as a partners visit to Burghley House for a guided tour, a themed party night, and a formal banquet and ball, as well as a full day convention on the Saturday which will be chaired by District Governor Kevin Rodgers from Wisbech Lions Club. All the clubs in attendance are a part of Lions Clubs International, the world’s largest service club organisation. Founded in 1917, it has over 1.3 million members worldwide and is best known globally for its work in trying to prevent blindness and assist the visually impaired. 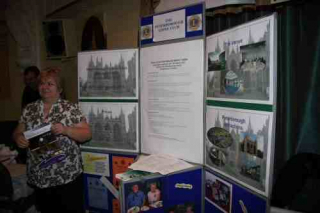 Each club also volunteers and raises funds for local community projects and in recent years Peterborough Lions has supported Peterborough Association for the Blind, Special Care Baby Unit, and Music and The Deaf Youth Orchestra, as well as provision of a community minibus for local charity or welfare use. 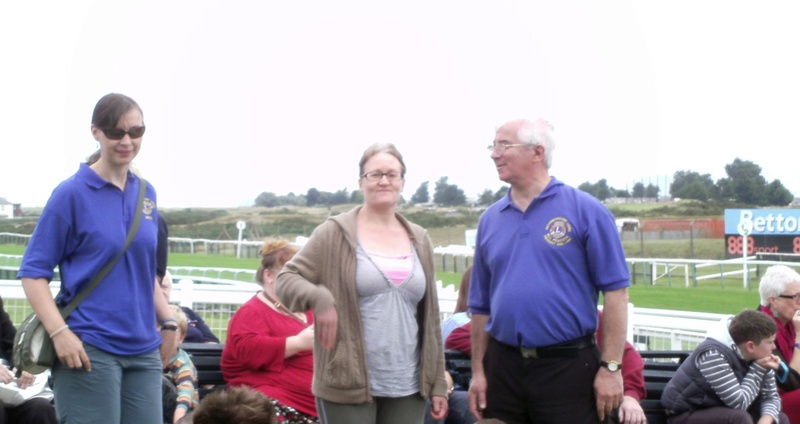 New members are always welcome; for more information please contact 08458 339534 or refer to www.peterboroughlions.org.uk. It was nice to see Lions 105EA District Governor travelling all the way from Wymondham Lions Club to attend our September Lions Club business meeting. Lion Jim Cawte and wife Jennifer were present for a demonstration by Lion Mark Rogers of our sister website, Lions’ Share, followed by a question and answer session about how it works and how well it is doing. We look forward to seeing it promoted across the district in coming months. 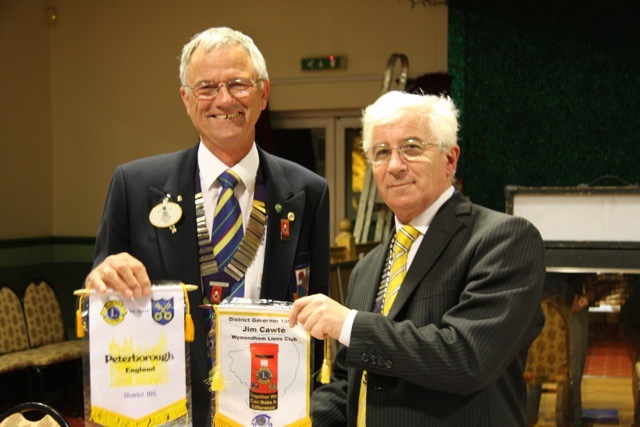 Peterborough Lions Club President Bill Peacock presented the DG with our club banner and received one of Lion Jim’s personal banners in return. We were also given a short introduction to the DG Lady’s 2012 Appeal by Jennifer, which this year is raising money for the Teenage Cancer Trust. For those of us young enough to remember being a teenager, it’s a difficult enough time of life as it is without also having to face the enormous challenge of fighting a disease like cancer, but sadly the plight of teenagers with cancer is often overlooked. For that reason (despite it being direct competition to our own quiz leaflet!) 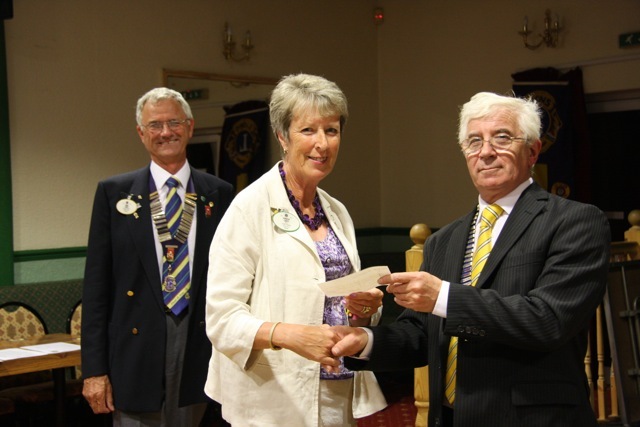 many club members were more than willing to buy the DG Lady’s own quiz leaflets, and the club was also proud to present a donation to the appeal to our visitors. For more information on the DG Lady’s appeal, see the 105 EA website and the Teenage Cancer Trust website. 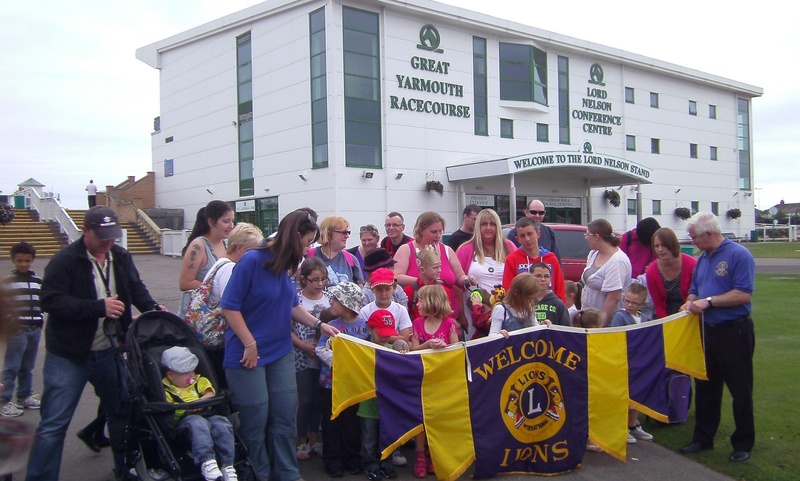 The following collection of photos from the 2012 Great Yarmouth Fun Day on Sunday 2nd September have been added to the gallery. 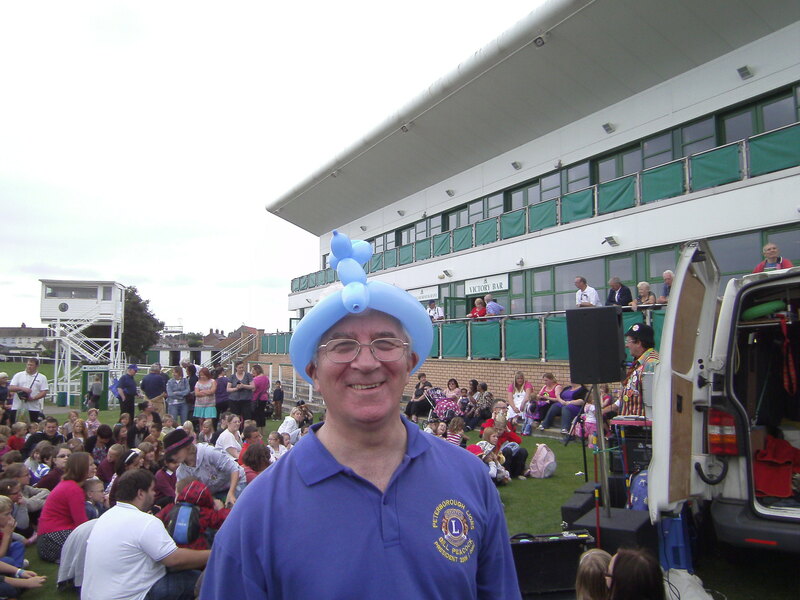 Peterborough Lions are proud to be the host of the 2011 District Convention on the weekend of 18th-20th March. For more information please visit the convestion’s website at www.lions105ea-convention.co.uk. Peterborough Lions very pleased to be hosting the Annual Convention for the Lions of East Anglia in March 2011. For more information about the Convention please use this link.